It is safe to use program that easily solve all problem regarding lotus notes contacts to PST conversion. With the assistance of Enstella Lotus Notes Contacts Converter Software you can convert lotus notes Contacts to Outlook file. 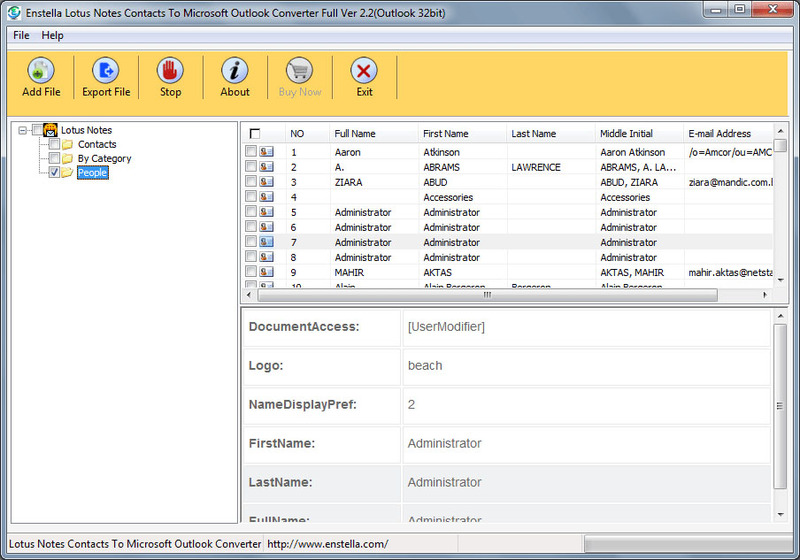 Best NSF Contacts Converter Software helps you to Export Lotus Notes Contacts to outlook file. It converts NSF Contacts into multiple formats such as-PST, Vcard, CVS, RTF, HTML and TXT etc. ICS converter proves to be a reliable tool in order to export ICS files from Outlook or any other ICS format supporting email client. This tool is absolutely safe to use. Download MBOX Viewer Free tool to quickly read MBOX file and view the entire email properties including all email items.